Dosing pump-chemical feed pump is a kind of reciprocating pumps（reciprocating plunger pump）with three plunger or five plunger, also named as triplex plunger pump and quintuple pump/quinary plunger pumps. 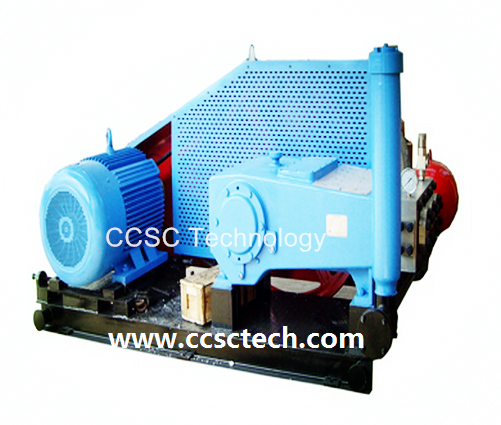 Dosing pump-chemical feed pump is usually driven by electric motor or diesel engine and especially designed for pumping the water with the filter aid and liquid disinfectant etc. Typical applications includes that inject the water with the filter aid and liquid disinfectant and other chemical agent. ●Fluid media: Water with the filter aid and liquid disinfectant and other chemical agent.